We present a precision engineered range of Spares of Filter Plates that are known largely for their quality. 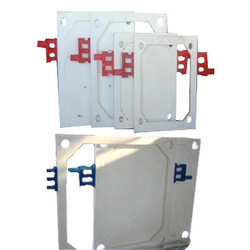 We are highly acknowledged organization Matching engaged in presenting remarkable range of Filter Press Plate. 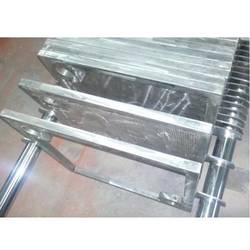 We are offering a wide range of Filter Press Casting Plate. Delite Polypropylene Filter Plates are made from Pure Virgin Polypropylene Material through perfect moulding process. - Structure of Cast Iron MS.
- Move to higher density, lower-volume formats to speed the rate of discovery. - Use our versatile multi-well filter plates in applications requiring the recovery of either the filtrate or retentate. The stack of plates is generally compressed by a handwheel, positive electromechanical or electro hydraulic pressure, the filter cloth serving as a gasket between individual chambers.